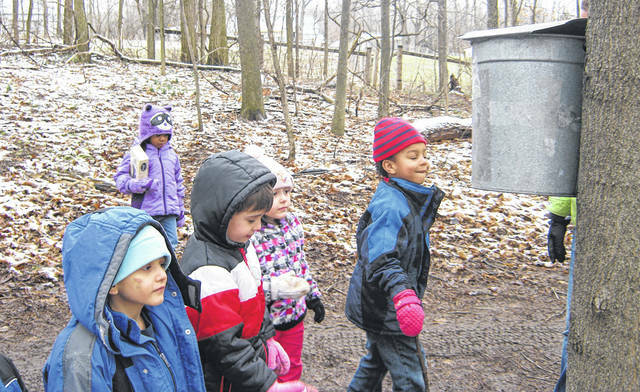 Sugar maple sap is collected in containers during Sugarbrush Walks in February. 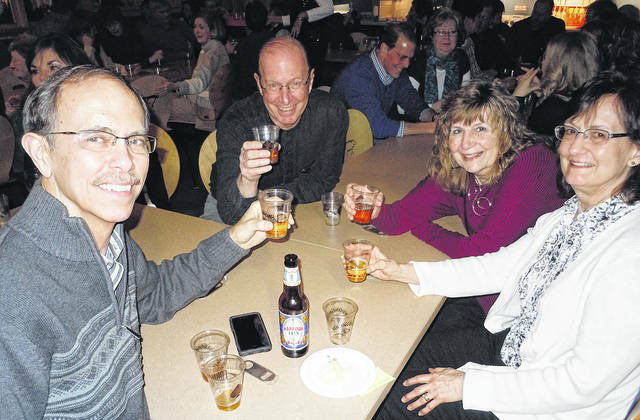 Beer & Brewing with A Taste of Aullood is Saturday, February at the Marie S. Aull Education Center. BUTLER TWP. — February marks the middle of winter. Enjoy a Sugarbush Walk learning the history of making maple syrup at Aullwood Farm or count birds during the Annual Great Backyard Bird Count. Bring your friends and neighbors to our popular Beer & Brewing with A Taste of Aullwood for wonderful food, fun, and tastes of local beer. -Three Hoots for Owls, February 13 – Wednesday, 10:00-11:30 a.m.
– Blow Wind Blow, March 13 – Wednesday, 10:00-11:30 a.m. Both classes for the winter Chipmunk Adventures will be held at the Charity A. Krueger Farm Discovery Center at Aullwood Farm. Individual classes: $15 for members, $17 for non-members. Class limit: 10 (5 minimum). For more information call 937-890-7360.